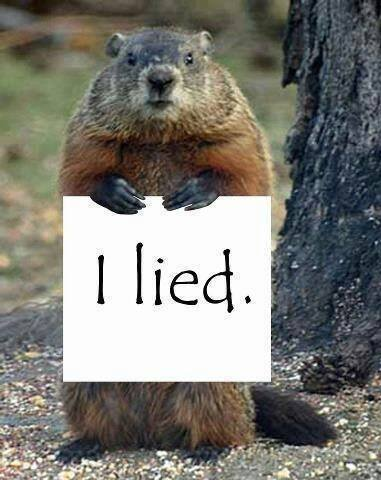 No Doubt Many People Feel This Way This Winter. 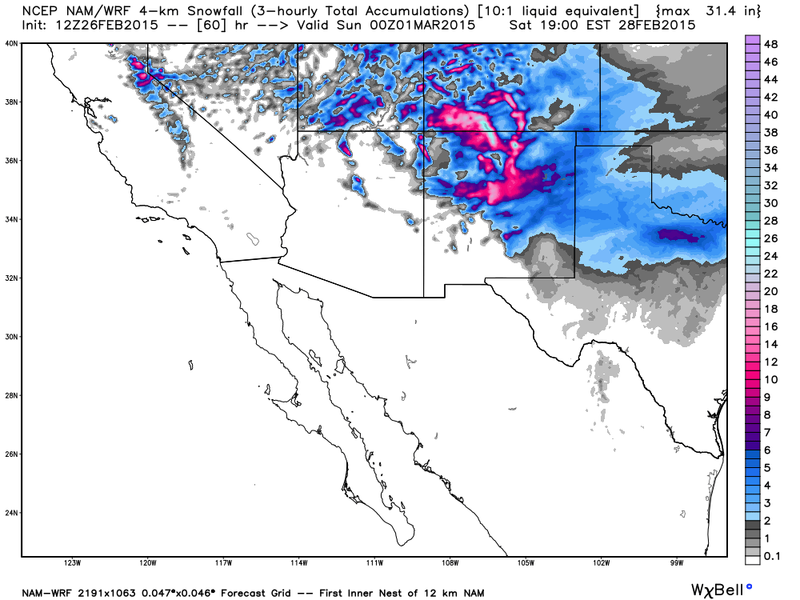 Long Duration Winter Storm Event For New Mexico. 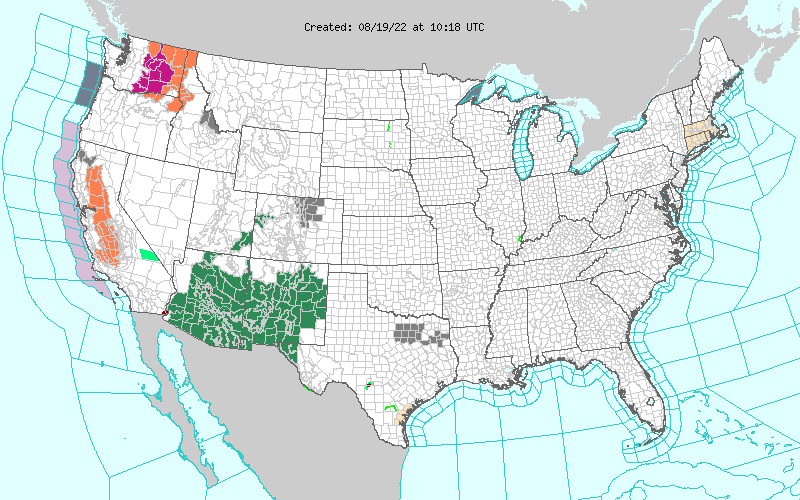 Click On This Link For The Latest NWS Watches & Warnings. 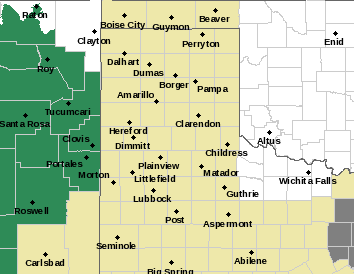 A Winter Weather Advisory is in effect for Eddy and Lea Counties from 8 PM tonight into 11 AM Friday. 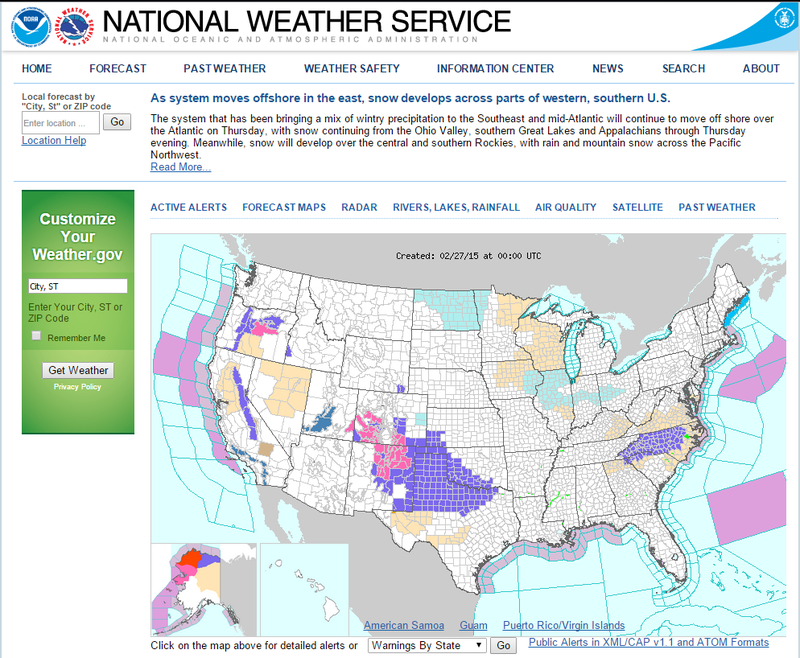 Current NWS forecasts are calling for 2" - 4" of snow for us. As always we will see a varation of snowfall totals locally depending upon the exact track and speed of our inbound storm. 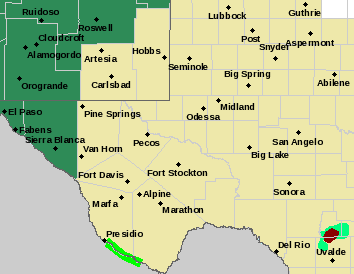 I find it curious that Chaves County was not included in the Advisory, nor was Otero County. Arctic Air Settles In As Snow Pick Up Tonight. GFS (T1534) 500 MB Analysis. 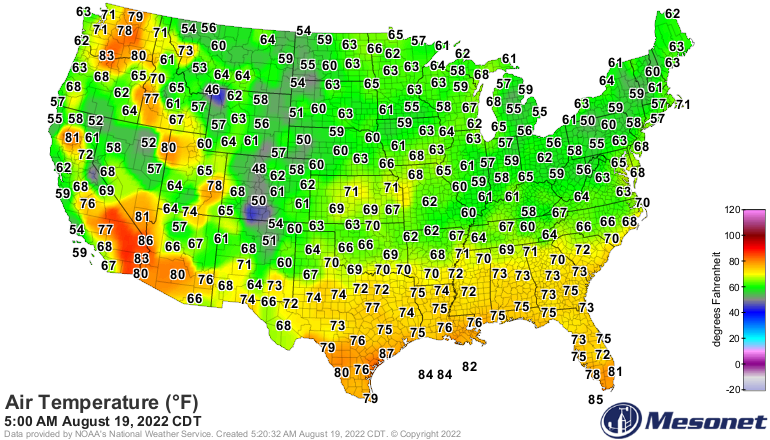 Valid @ 11 AM MST This Morning. 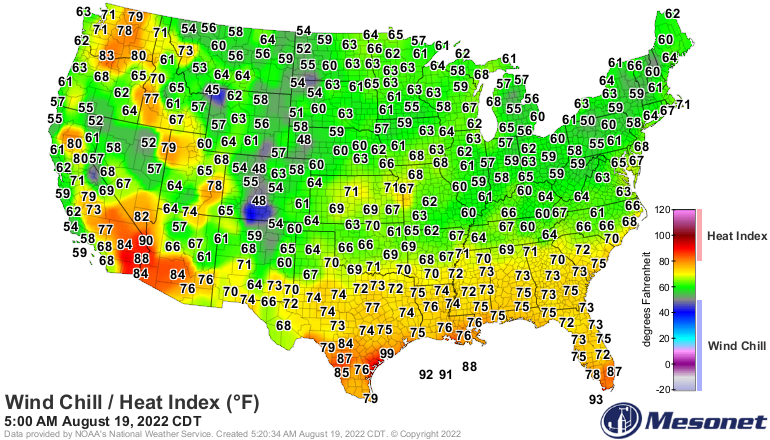 Arctic air has settled into the eastern one half of New Mexico once again today. Low level easterly upslope flow behind the arctic cold front continues to import abundant low level moisture into the area. At the same time an upper level disturbance will dive southeastward out into New Mexico out of Utah tonight into Friday. Combine these two features and you have a good setup for snow in many areas of the state tonight into Friday. This is round one. Several more disturbances will drop into the state this weekend into next week keeping the snow machine going. 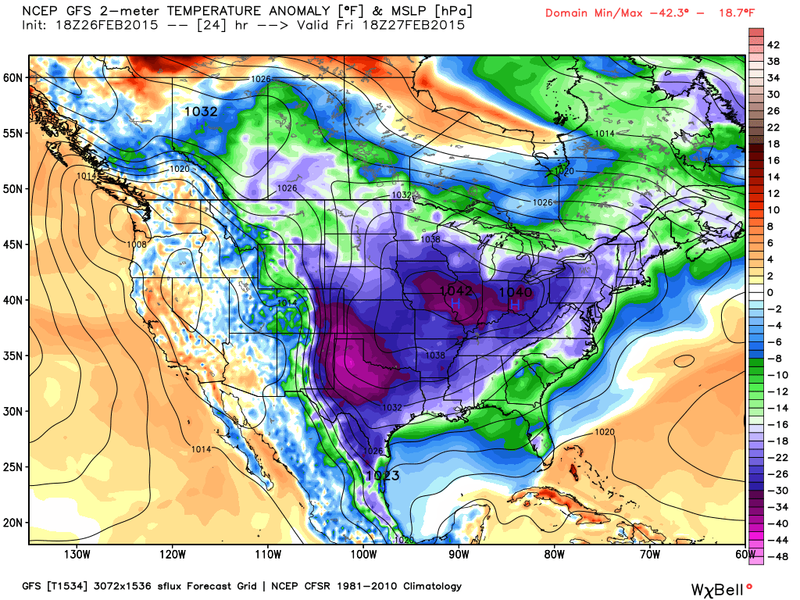 GFS (T1534) Temperature Anomaly Forecast. 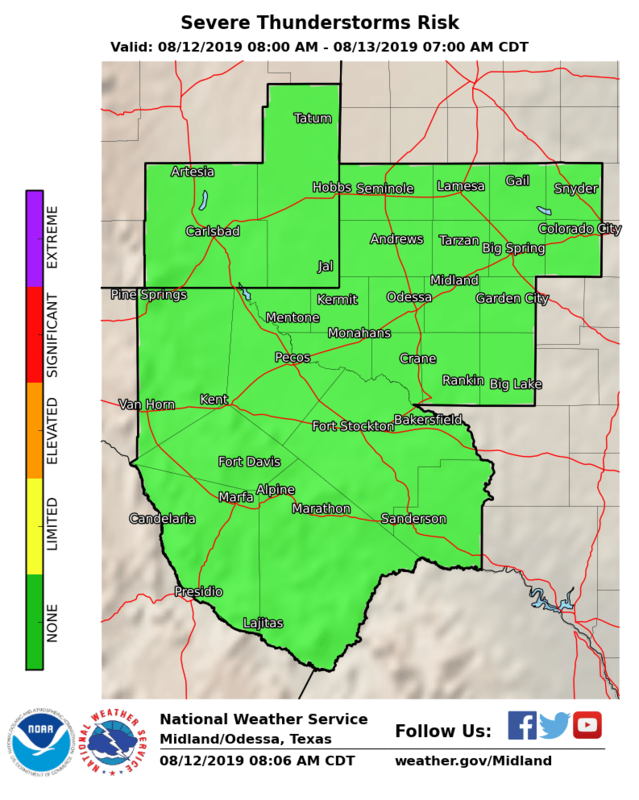 Colder air will continue to settle in over the area tonight into Friday. 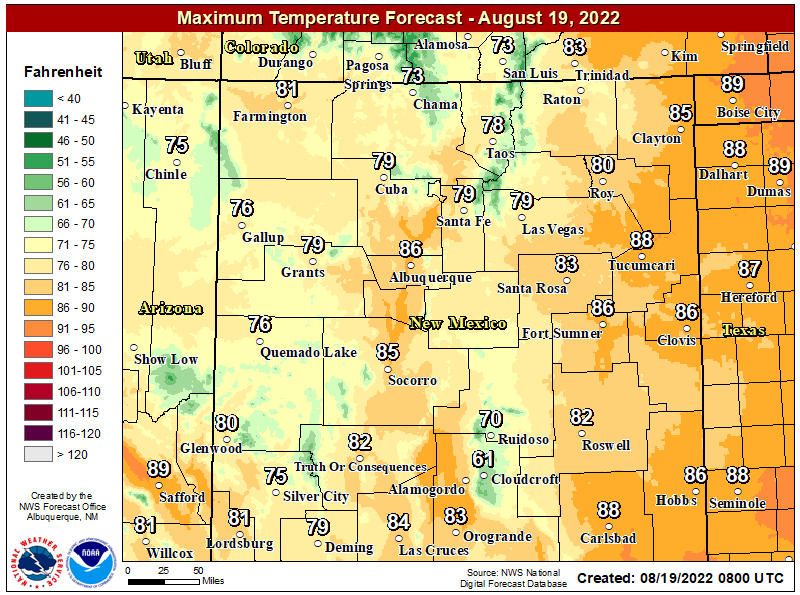 Our afternoon high temperatures on Friday will be running some 25 - 40 degrees below normal. 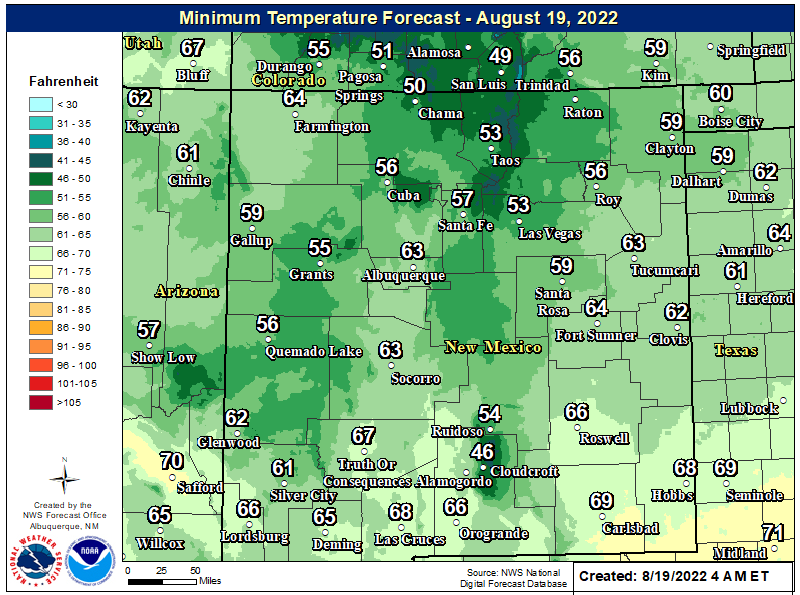 Most of southeastern New Mexico will see lows tonight in to teens and 20;s and only see highs tomorrow in the 20's to near freezing. Our wind chill values will once again drop down into the single digits and teens tomorrow morning. This has been one of the craziest winters I can remember as far as our roller coaster temperatures rides. 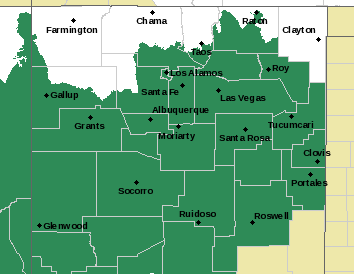 Valid @ 10 PM MST Tonight. 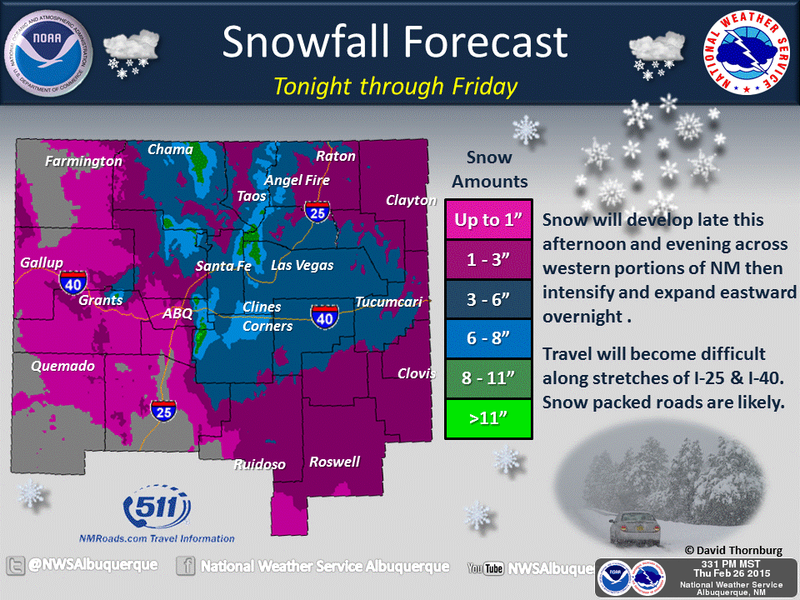 Snow will spread into southeastern New Mexico and increase overnight continuing into Friday around noon at least. 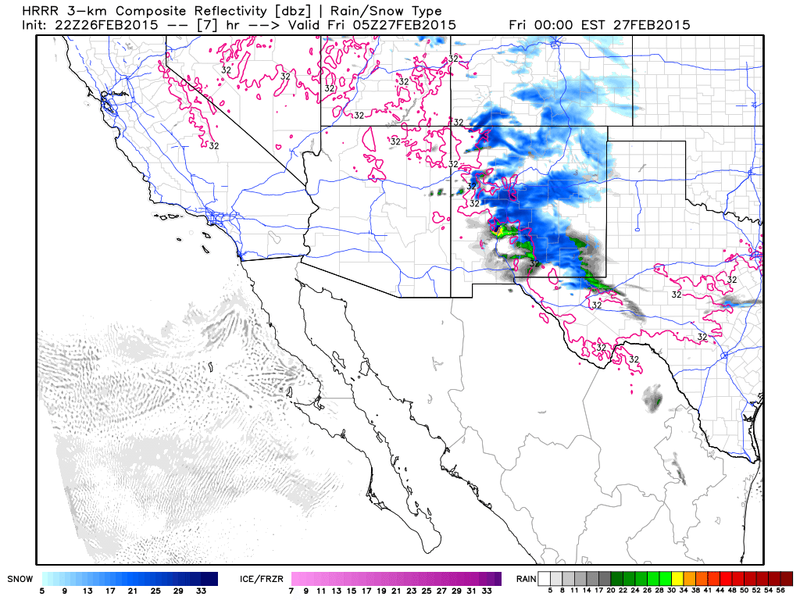 The latest HRRR model (above) depicts snow really getting underway in southeastern New Mexico by 10 PM tonight. 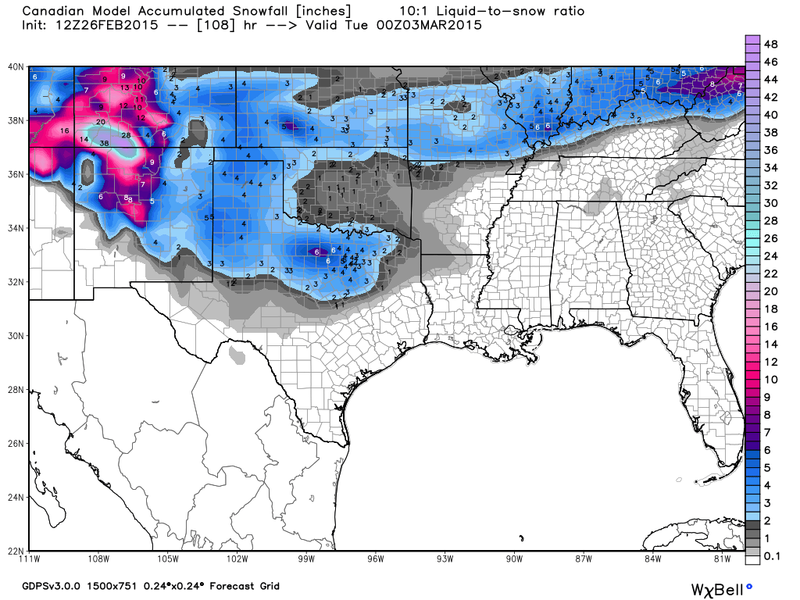 GFS Valid @ 5 AM MST Monday. 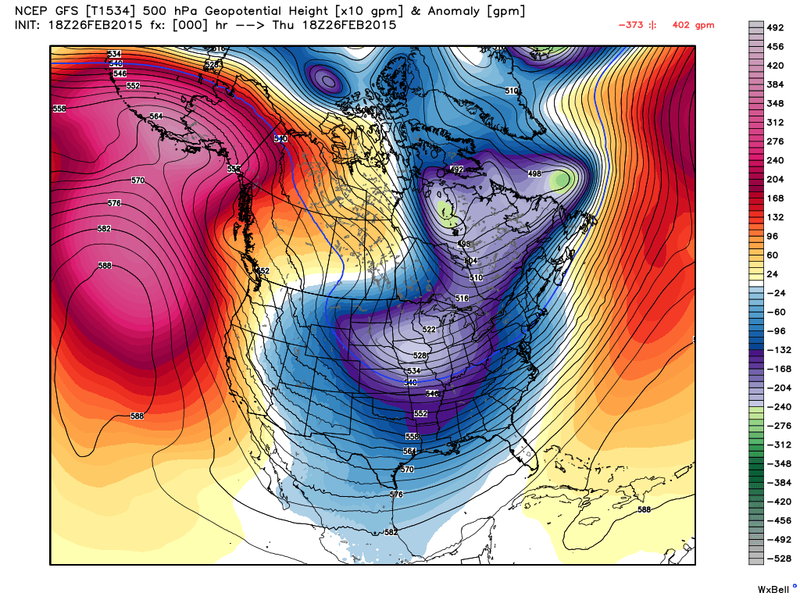 Canadian (GEM) Valid @ 5 PM MST Monday. 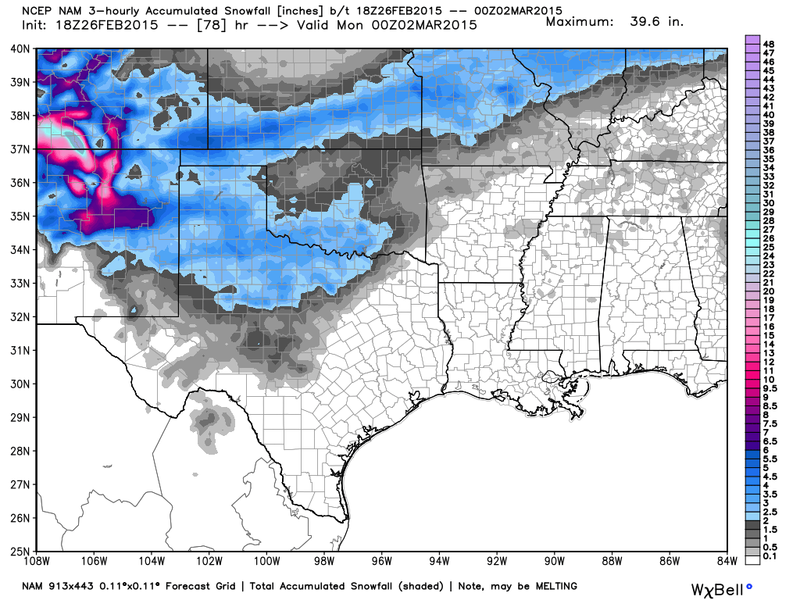 NAM Valid @ 5 PM MST Sunday. 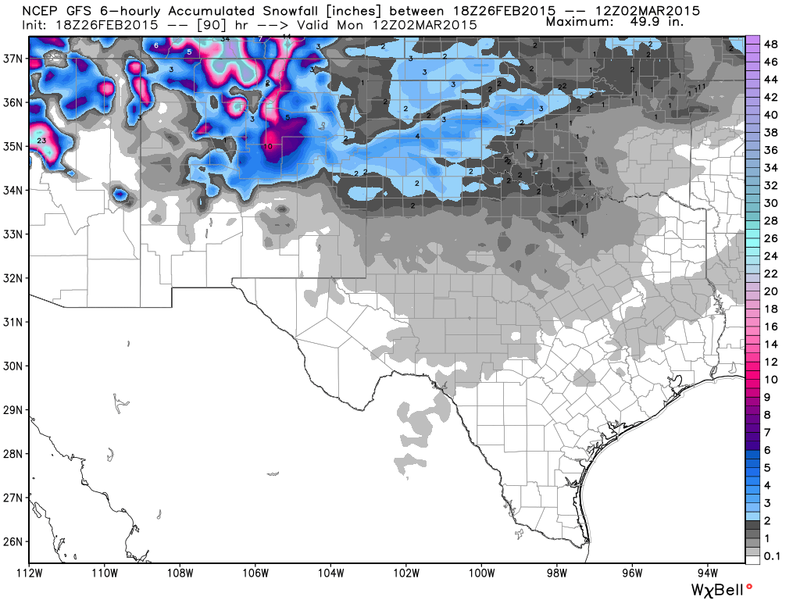 NAM/WRF Valid @ 5 PM MST Saturday. NCEP NDFD Valid @ 11 AM MST Sunday. 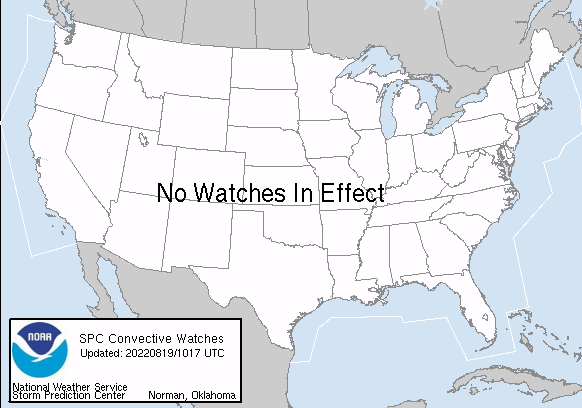 NCEP WPC Valid @ 5 AM MST Sunday. 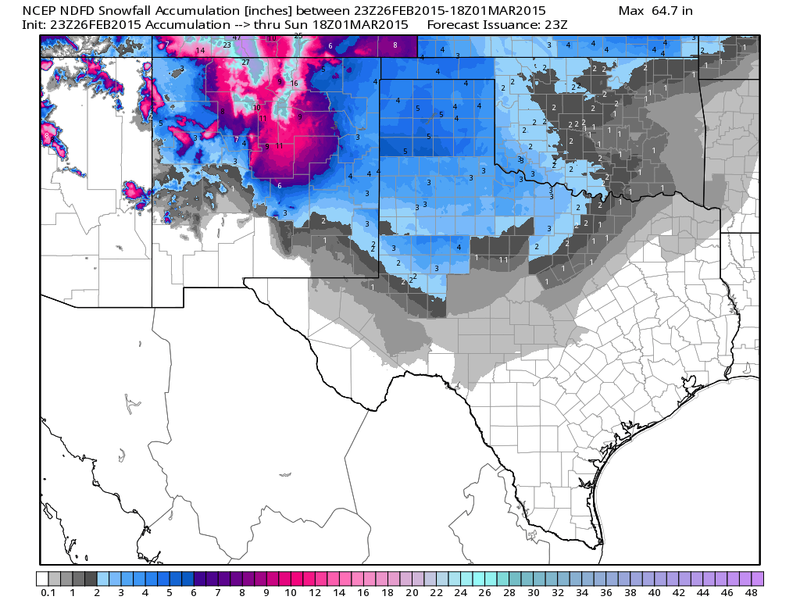 Forecast snowfall totals in New Mexico at best is a headache for many reasons. One of the main factors in this difficult task is due to the varied complexity of the terrain across the state. 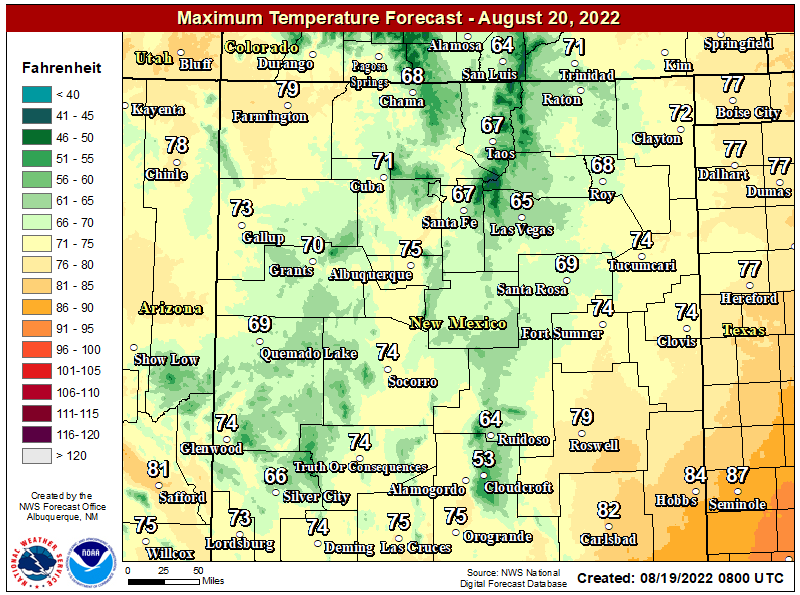 Remember when looking at the model forecasts above that they are highly generic and do not take into account our mountainous terrain. Add to this take often our winter storms do not play nice and do what the models forecast...in fact this is more often true than not. 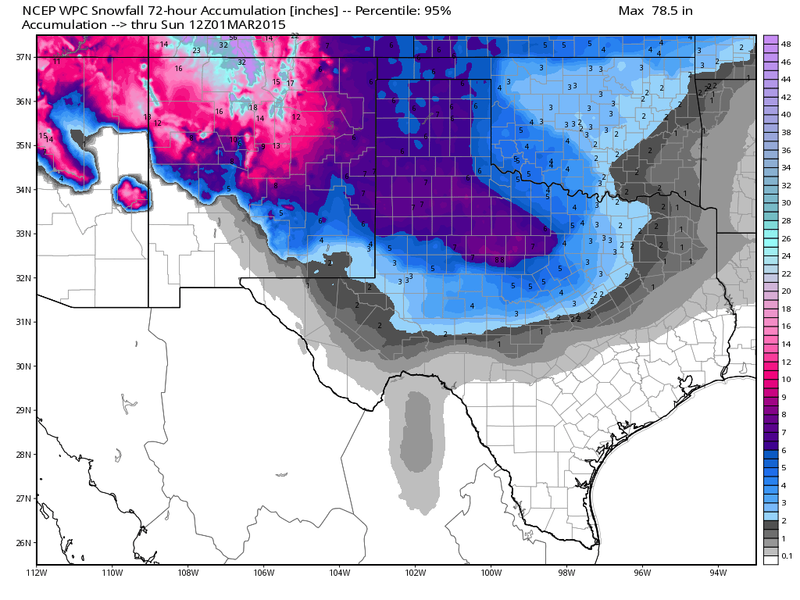 So with this being said we are looking at some interesting storm totals across the state by next week. How about snowfall totals of 2 feet to 4 feet across some of the higher elevations of northern New Mexico near the New Mexico/Colorado state line. Gotta love late winter and early spring storms in this state!